Perfect for the man who loves the water no matter what the weather. 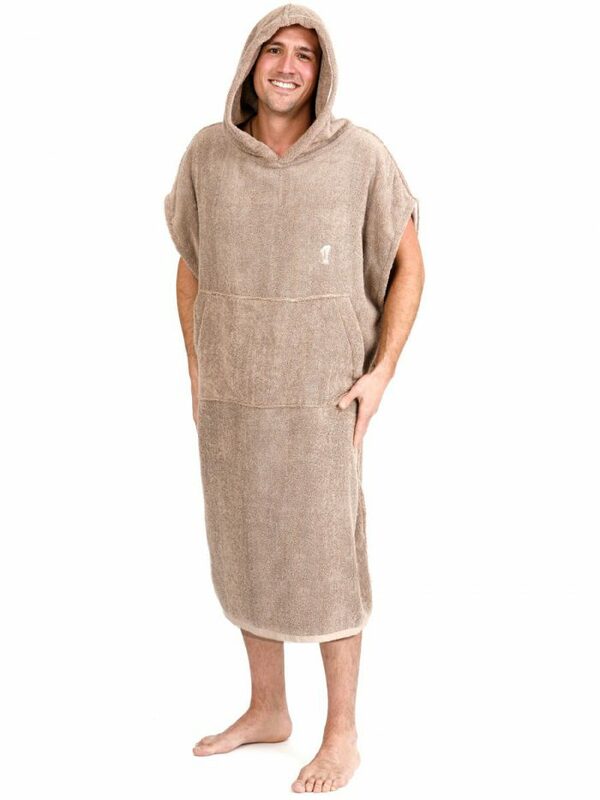 This high quality surf poncho changer is made from the best quality combed cotton towelling. It is thick, highly absorbent and super comfortable. Perfect to cover-up when changing in public before and after the water and roomy enough to make changing to and from wetsuits a breeze. 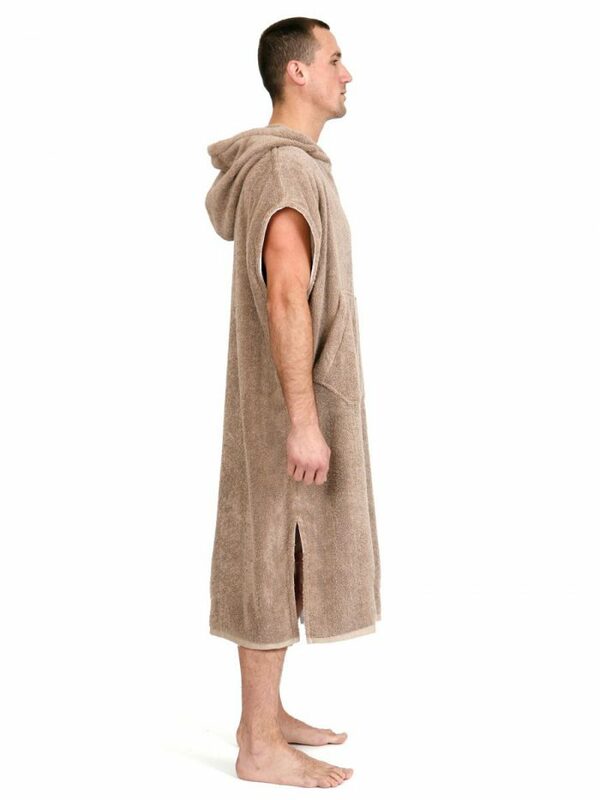 The plush towelling not only dries very effectively it is super warm and toasty. Plenty thick enough to keep out any icy breeze. The oversized hood will have him warm in minutes. 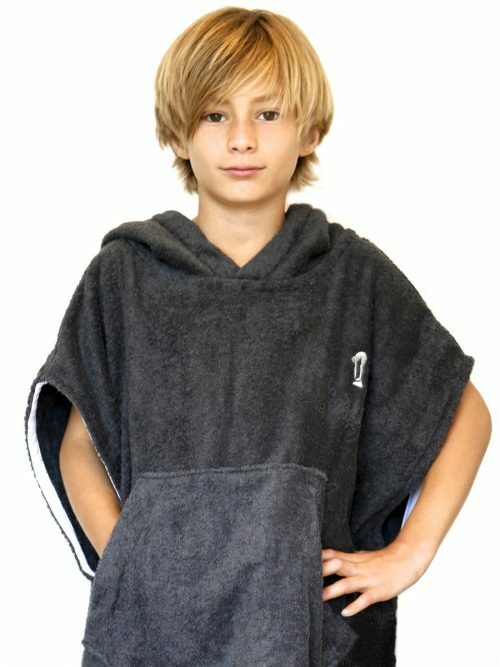 The surf poncho fit is deliberately loose to allow room to move while changing and ample fabric to dry arms, legs & face. Expertly cut and sewn, these changing ponchos will last. Popular with surfers, windsurfers, sailers, kayakers, swimmers and other outdoor water sports lovers. 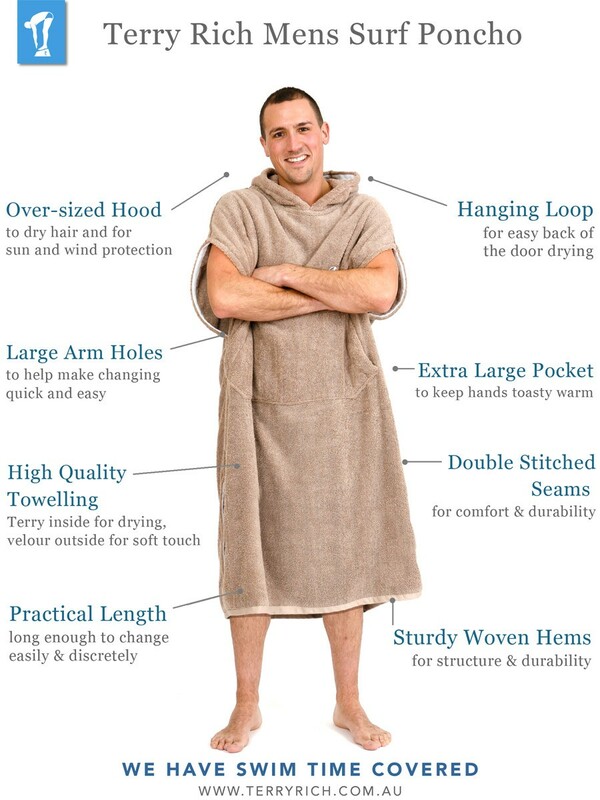 – Superior 100% combed cotton towelling fabric. – Large double pocket for warmth & accessories. 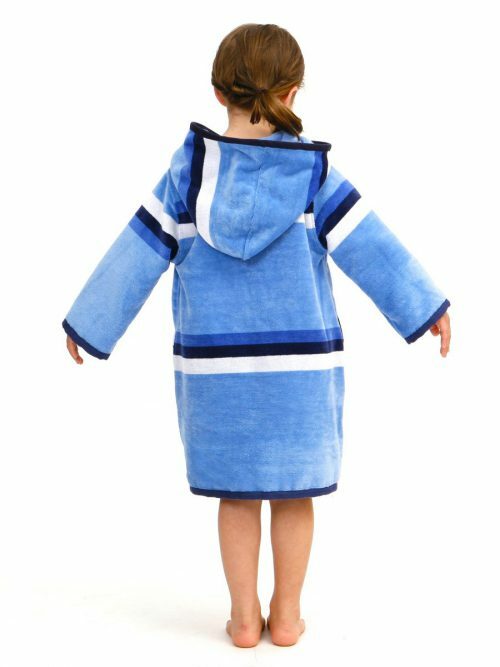 These Super Warm Surf Ponchos are a great investment for anyone who is regularly changing for a swim, surf or paddle in the car park, especially on icy cold mornings or windy afternoons! If you know a man who loves the water no matter what the weather then this is for him! 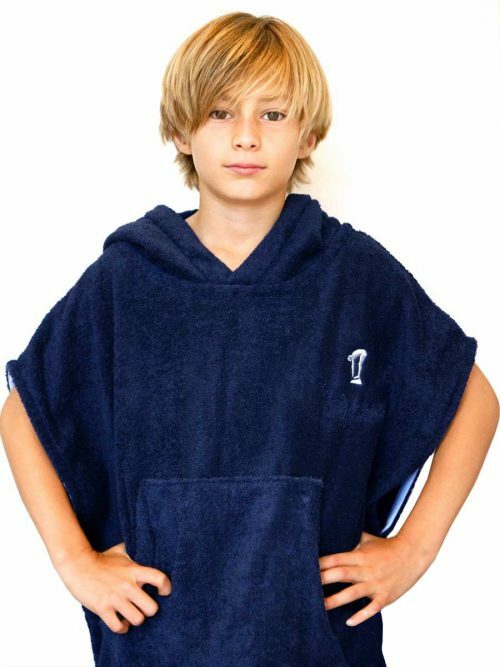 This high quality surf poncho changer is made from the best quality combed cotton towelling. It is thick, highly absorbent and super comfortable. Perfect to cover-up when changing in public before and after the water and roomy enough to make changing to and from wetsuits a breeze. 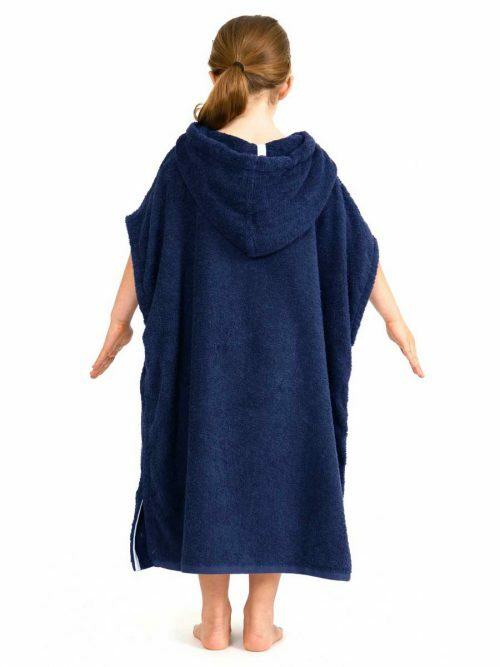 Super Warm Surf Poncho Features include: – Superior 100% combed cotton towelling fabric that is soft, warm & super absorbent. – Smart design with easy access arm holes making changing quick & easy. – Luxe oversized hood to dry your hair plus keep out wind and sun. – Large double pocket for warmth and accessories. – Easy to take anywhere with you. 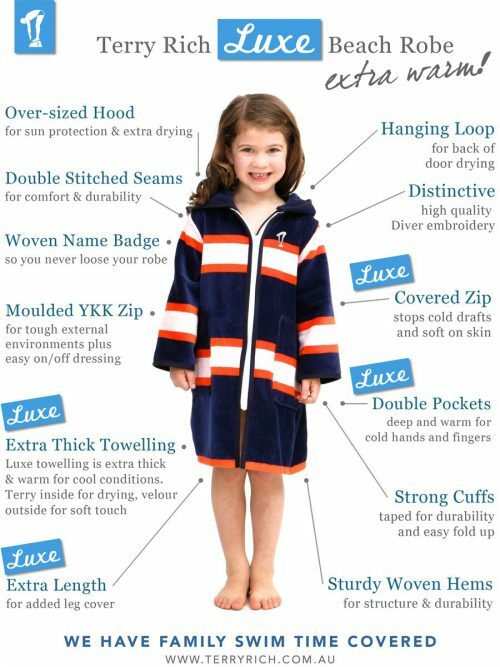 Keep in the car or boat – Built to last with superior towelling, fully covered seams & quality finishing. – Easy care. Fully machine washable – Made in Australia to the highest making standards. 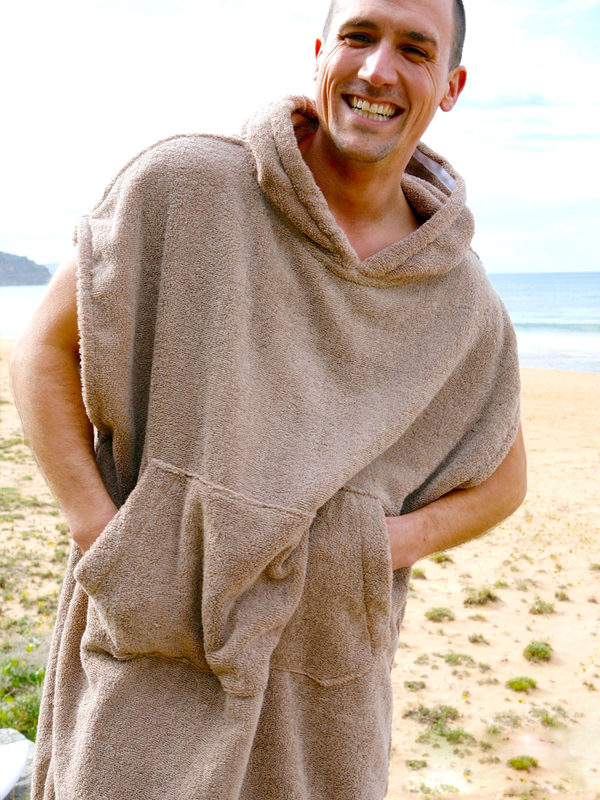 These Super Warm Surf Ponchos are a great investment for anyone who is regularly changing for a swim, surf or paddle in the car park, especially on icy cold mornings or windy afternoons.